No one ever thought portable devices that would revolutionize a variety of industries so quickly. Organizational processes coupled with technologies to track projects and maintain schedules have become of paramount importance to an organization’s financial health. The impact of iDevices have changed business in ways that those who have failed to adapt are in jeopardy of business failure. Innovation in processes are also important to keep work flowing smoothly through a fabrication facility. Unfortunately, constant deadlines preoccupy many fabrication business Owners from thoroughly examining their work flow. Developing a coherent system of transmitting accurate communications via portable devices is a necessity in today’s world. Costly errors are usually the result of poor communications which can add additional pressures to General Contractors who subcontract solid surface fabrications. To address this issue, ASST takes the organization and management of it’s projects very seriously. ASST’s Critical Operating Events and Tasks (COETS) for organizational process is one of the key benefits of working with us. From the beginning, your project is organized into 21 Event Steps from initial pricing to final onsite installation. The details of your project are properly planned and field verified, with shop drawings, prepared for approval prior to fabrication. Items for large millwork pieces are labeled and coded with field seaming joints and/or match lines indicated for the onsite installer. During production, your project is also checked for Quality Assurance to confirm that AWI standard are achieved. 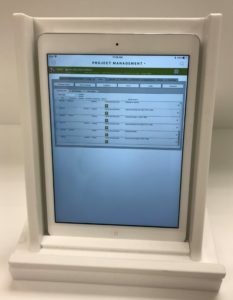 Portable iDevices are utilized to record production tasks conform to Architect’s specifications. These are just some of things we do to get a overhead view of your whole project. 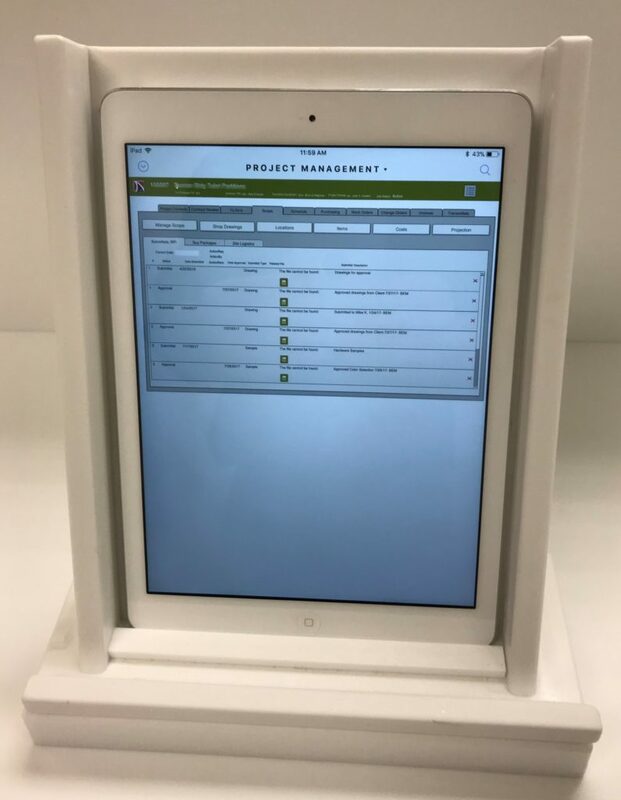 All of these 21 Event Steps are accessible via portable devices for use by project managers, installers and the fabrication team. We are always aware of the specific Event Step your project is presently located if you ever have a question! This entry was posted in Project Management and tagged project management, technology.